Enter through the main entrance at 550 W 54th St (between 10th Ave and 11th Ave) and take the stairs or the elevator to the Health Club level. The pool is accessible through the locker rooms. Use of the locker rooms is limited to Mercedes Club members and residents of the Mercedes House. 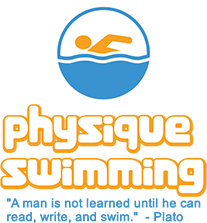 All (non-member and non-resident) Physique Swimming participants must make use of the on-deck changing tents, and the family bathroom in the lounge area. Youth swimmers are not allowed in the whirlpool spa under NYC DOH regulations. Please do not allow your child to enter the whirlpool as it is strictly prohibited.